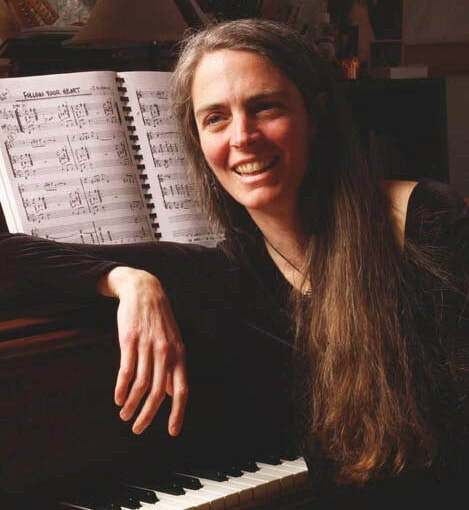 Nancy Reid Taube has been a music teacher for twenty years, teaching piano, guitar, bouzouki, flute, music composition and theory, as well as song writing, ensemble performance and music for young children with original programs like Tunes for Tots with Connie Button, and iGotta Groove with Judie Lewis. With a B.A. from Lesley University, majoring in English Literature, and minoring in both Math and Music, Nancy studied classical piano with Reneè Swift; piano and music composition with Juan Nazarian, and did post-graduate studies in piano, jazz and music composition with Larry Polansky, Sonny Saul, and Fred Haas.